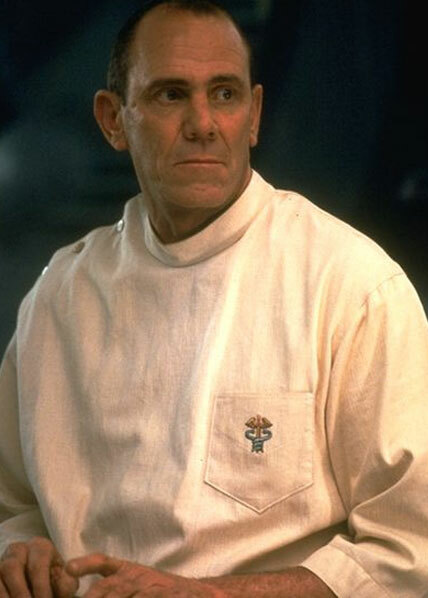 Dr. Mason Wrenis is one of the lead scientists tasked with extracting an alien queen embryo from the Ripley clone aboard the USS Auriga. He is self serving, egotistical and will betray just about anyone for personal gain. He is the one who ordered the crew of the Betty killed, and would later turn on them again during the escape. He is killed when Purvis attacks him in a violent fit of rage, forcing Wren's head to his chest moments before the chestburster within purvis explodes out, killing them both.